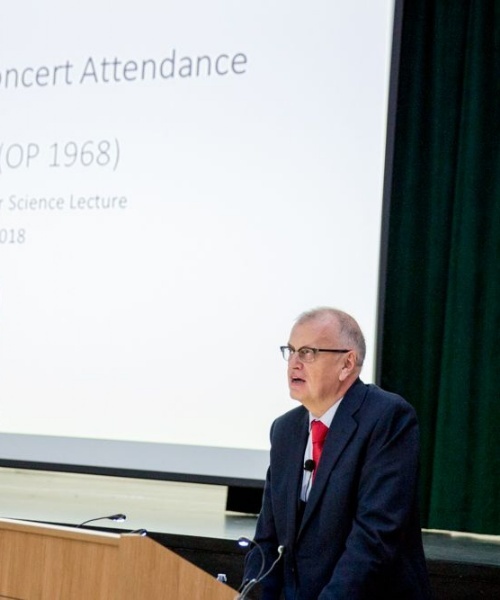 This year, the lecture was given by Professor John Sloboda (OP1968), on the subject of The Psychology of Concert Attendance. Professor Sloboda has been director of the Guildhall School of Music and Drama’s Understanding Audiences research programme since 2009; he presented the findings of his research and outlined the four dimensions on which live events vary: established works versus new repertoire; the predictable versus the unpredicatable; the impersonal and the more personally engaging; and the passive experience versus the more active audience experience. 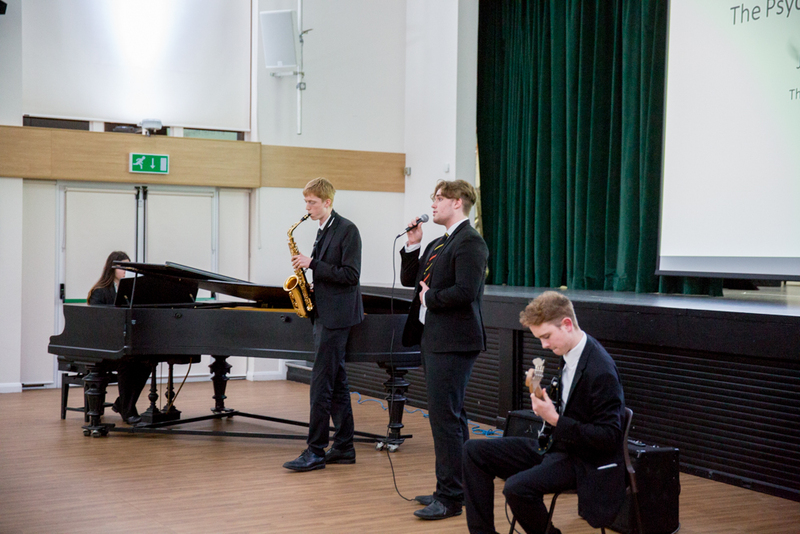 The Senior Jazz Group effectively illustrated much of what Professor Sloboda outlined as key ways to engage an audience: they introduced themselves, talked about Gregory Porter's song Real good hand, and their improvisations defied predictability; the audience's active engagement was clear from a widespread tapping of feet! 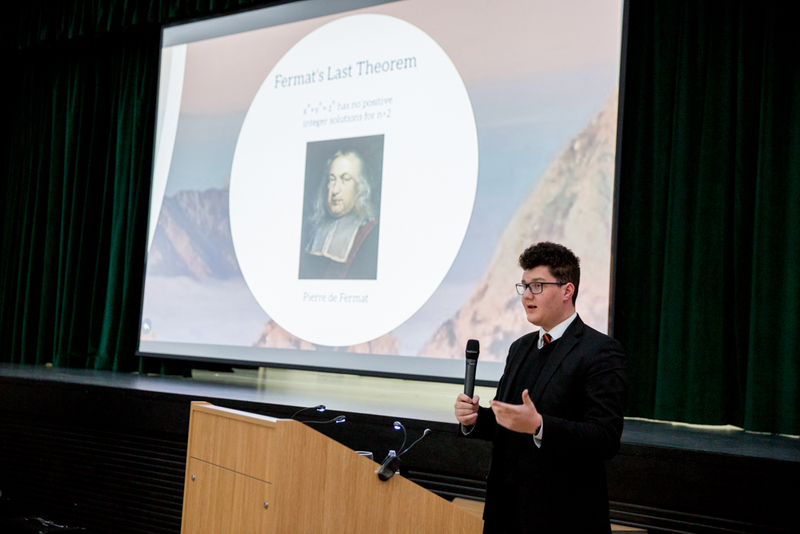 Max Lubowiecki: To what extent are mathematical concepts discovered rather than invented? 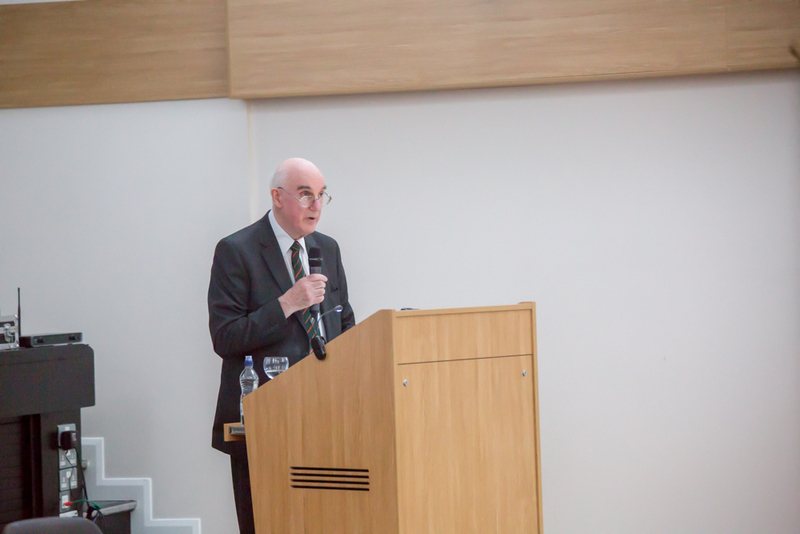 The Science Lectures have been generously endowed by Dr Francis Cuss (OP1972), who attributes much of his passion for science, and his successful career in medical research, to Richard Baker’s inspirational teaching.